There are several beautiful driving trails in Great Smoky Mountains National Park. 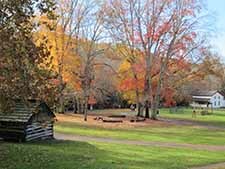 From the comfort of your vehicle, you can view rushing mountain streams, old-growth forest, well-preserved log cabins, grist mills, and other historic buildings along the trails. 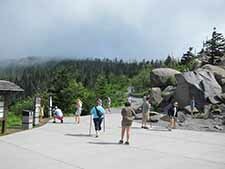 Great Smoky Mountains National Park offers breathtaking views on its many motor nature trails. 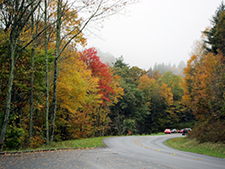 These driving trails provide pullover areas so you can capture the beauty of the Smokies on camera. There are 384 miles of road in the Smokies. Most are paved, and even the gravel roads are maintained in suitable condition for standard passenger cars. Travel speeds on most of the park's paved roads average 30 miles per hour. Whitewater rafting and tubing down a cool mountain river are some of the most popular things to do in the national park. Whitewater rafting is available from mid-April to early November. Several rafting posts can be located near the park. This sport is enjoyed by children and adults. Tubing is a fun activity and is available from Memorial Day through Labor Day. 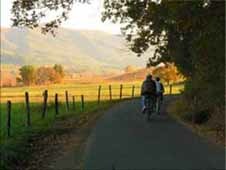 Bicycling in the Great Smoky Mountains is amidst breathtaking scenery. You might also have an opportunity to view wildlife more closely. There are several roads throughout the Park that are suitable for bicycling. 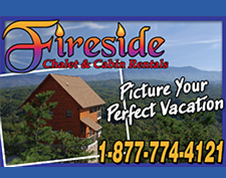 Bicycle rentals are available in Cades Cove; by the hour or by the day. Cades Cove loop road, an 11-mile one way road, is a popular bicycling area. It provides bicyclists with excellent opportunities for wildlife viewing and touring 19th century homesites. During summer and fall, bicycles may be rented at the Cades Cove store (located near Cades Cove Campground). Sighteeing in the Smoky Mountains is unlimited. There are a number of driving trails, numerous historic buildings, and many scenic pullovers throughout the Park. Guided horseback rides are available at four concession horseback riding stables in the park from mid-March through late November. Rides on scenic park trails are offered lasting from 45 minutes to several hours. All rides proceed at a walking pace. Whether you're young or old, expert or novice, a horseback, carriage, or hayride trip in the breathtaking Great Smoky Mountains National Park is an adventure you'll never forget. Ziplining is where the nature-lover meets the thrill-seeker. The Smoky Mountains is home to many exciting outdoor adventures, but the zipline is one of the favorite outdoor adventures of visitors. 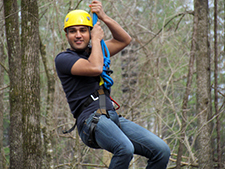 Fast, fun, and exhilarating, this spectacular adventure offers nature lovers and thrill seekers alike the unique opportunity to zip through the treetops on a network of cables suspended high above the forest floor, overlooking nature's finest show. Friendly and experienced guides will give you a detailed safety and equipment orientation before you are fitted with your personal gear for the tour. For thrill-seekers and nature lovers alike, it's the perfect adventure for families and couples seeking to escape the fast-paced city, or adults looking for something new. 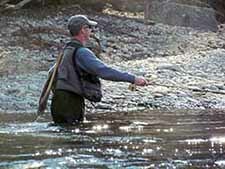 Fishing is a popular sport in the Smoky Mountains. Trout and bass are the fish to catch. You can also choose a 5-mile fishing trip down the river as you sit back in a raft, relax and take in the breath-taking scenery as you work your crank bait or grub and wait for the action! You'll drift along one of the oldest rivers in the world surrounded by the unspoiled beauty of the Cherokee National Forest. The river is about 1,100 feet above-sea-level. Around you are mountains that climb thousands of feet higher. This creates a deep gorge concentrating the fish right where you are. Great Smoky Mountains National Park has 800 miles of trails. On your hiking adventure you will discover subtle variations in nature not seen from automobiles. For example, wildflowers, cascading streams, the scent of evergreens, and the sounds of birds are best seen and experienced away from roads. The National Park offers frontcountry hiking as well as backcountry hiking. The Appalachian Trail crosses Great Smoky Mountains National Park. 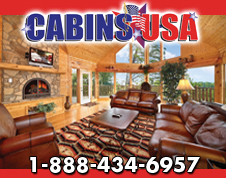 Experience guided ATV trips. 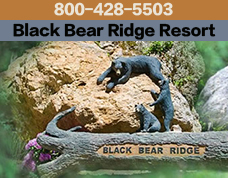 Ride ATVs on 6,000 acres of Smoky Mountain mountain trails. 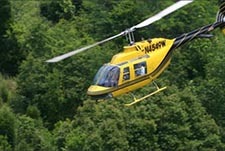 See the awe-inspiring, vast expanse of Great Smoky Mountains National Park from the unmatched vantage point of a helicopter tour. Capture the grandeur and the glory of the most visited U.S. National Park from the seat of a helicopter. Great Smoky Mountain National Park offers frontcountry camping and backcountry camping. 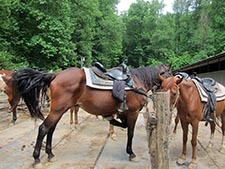 Group camps are also available as well as horse camps. Group Camps will accommodate tents only. Frontcountry Camping is camping close to your vehicle in a developed campground that has restrooms with cold running water and flush toilets. Each individual campsite has a fire grate and picnic table. Backcountry Camping is for backpackers. It requires hiking several miles to a site located in the Park's backcountry. 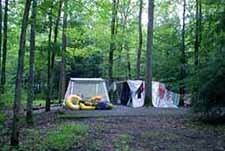 Guided overnight hikes are offered by Tremont Institute and by the University of Tennessee. 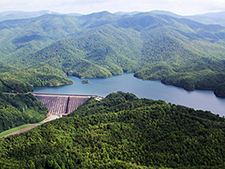 There are two dams on the outskirts of the National Park, including Fontana Dam and Douglas Dam. Fontana Dam is the tallest concrete dam east of the Rocky Mountains. 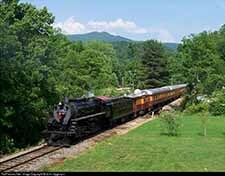 It is located in Western North Carolina. Douglas Dam is known for picnicking, camping, boating, and fishing. 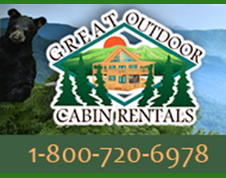 Gatlinburg provides trolley service to specified areas of Great Smoky Mountains National Park. Gatlinburg's trolley system is the fifth largest mass transit system in the state of Tennessee. 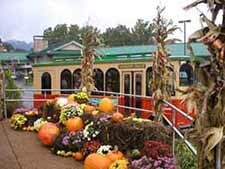 Gatlinburg has 20 trolleys that service approximately 50 miles in and around Gatlinburg and surrounding areas. 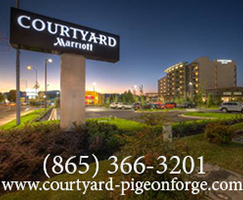 The Pigeon Forge Fun Time Trolley routes go to both ends of the Parkway, the Gatlinburg Welcome Center, Dollywood, Dolly's Splash Country, and Wears Valley.